Lately I’ve been posting blog updates roughly once a week, but thankfully this week I don’t have much to report. Jody is stable and infection-free right now, and it’s wonderful! I hesitate to say that aloud because in times past, as soon as I’ve told someone that he’s doing well, it changes, and an infection hits. When things are well and good (as well as they can be with 25-30% lung function), it makes me dread the sickness that will inevitably come. Even the lung transplant and recovery is something I’m not especially looking forward to. I know that it will include months of high-stress, juggling caregiving, parenting, working, and keeping house. I know that during that time I will desire to be exclusively at Jody’s bedside, to go to appointments with him, to help him recovery and simply to be there for him however he needs me. But those other responsibilities will call and I won’t be able to be there 100% the way that I would like. While Jody knows and understands this, it’s hard for me to accept. As you can imagine, knowing this stress is just a phone call away, I’m super thankful for the calm before the storm. Since I don’t have too much to report this week, I’d like to share with you a short video where Jody’s transplant surgeon, Dr. Shah, talks briefly about the lung transplant process at Hopkins. This is the surgeon I talked about last week who offered to pay for our gas and dinner because he felt badly that our crazy, stressful drive for transplant ended up being a dry run. This is also the man who will hold Jody’s warn, hard-working, failing lungs in his hands, and replace them with those which will bring life again. I couldn’t be more thankful to him and the rest of Jody’s CF and transplant teams. 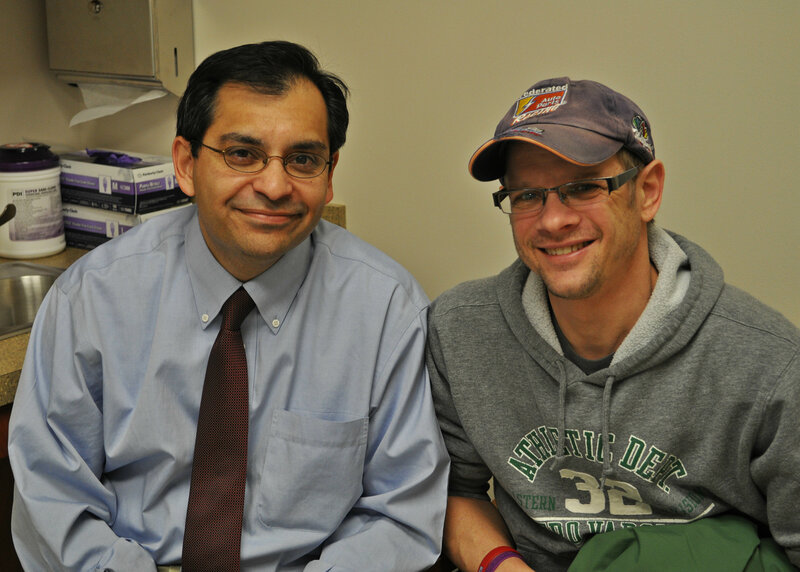 Please watch this video to learn more about Jody’s upcoming transplant. One more thing, we could use your prayers for extra special protection over Jody’s health. One of our daughters has come down with a cold and as history would have it, Jody inevitably ends up with an infection, leading to a hospitalization when this happens. It goes without saying that we prefer to keep him home and well. So please join us in praying that this cold goes away quickly and without spreading to the rest of our family. Thank you in advance. Thanks for sharing this very informative video. It definetly answers some questions that I hesitated to bombard you with. As always, we love you all and continue to pray for good health in your home. Blessings sis, BIL & girls. Glad this has been more of a quite week for you all. Hoping Jody can stay healthy this week!! Hi Julie, I’m so glad to hear things are relatively “calm” for you right now! I was thinking of you recently and wondering how you were doing. Shoot me an email update when you can. Hi Dianne! In order to view the video you will need to click on the link from the website (not the email you got with the new blog post). It should work for you that way.